Australian surgeons have begun operating to separate 15-month-old Bhutanese twins joined at the torso. CONJOINED twins Shivanath and Shivram Sahu say they have no regrets turning down offers to separate them - calling their condition a ‘gift from God’. 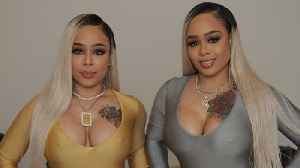 The boys, who have just turned 18 and live near..
CURVY twins Miriam and Michelle Carolus mirror each other’s lifestyle to keep their bodies ultra-identical - including their whopping 40-inch bottoms. The duo, also known as the Double Dose Twins,..